I popped into Boots on the weekend to stock up on shampoo & conditioner and I realised that I’d passed the trusted third buy. Eh, the trusted third buy? Well I’ve bought the same conditioner three times in a row now – I like to try EVERYTHING so I’m eternally swapping between brands but when I stick to the same one three times in a row? That’s when you know you’re onto something good! 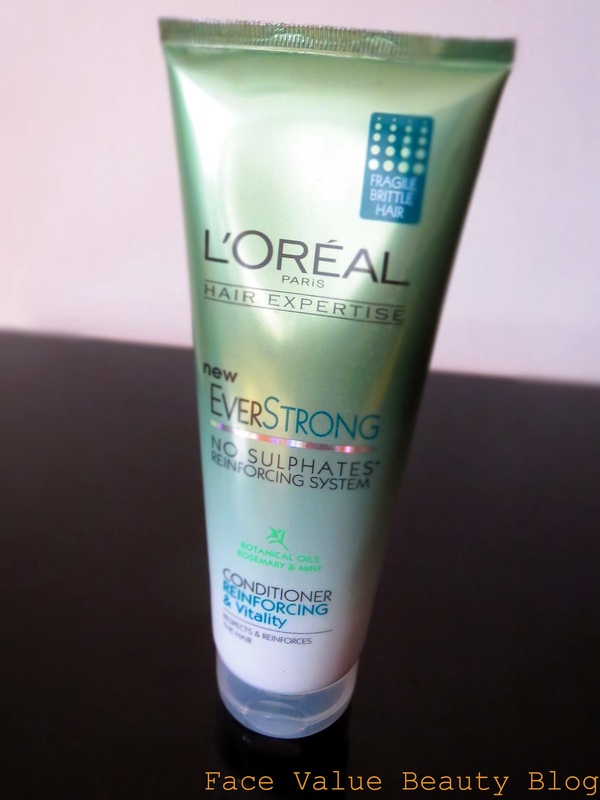 So today, I’m going to give some well deserved praise to this L’Oreal EverStrong Reinforcing Conditioner – it’s part of the L’Oreal Hair Expertise Sulphate-Free range and this conditioner is my absolute go-to for stronger ends and healthier looking hair. HERRO HAIR HERO. I first discovered the L’Oreal range in my TLC For Damaged & Dry Hair here. After the EverPure Mask, I moved onto the sulphate-free shampoo and conditioners and well.. the rest is history! Whilst I did really like the EverPure range for my coloured hair (the purple one), this L’Oreal EverStrong Reinforcing & Vitality conditioner (the green one) is better by miiiles – in my humble opinion of course. 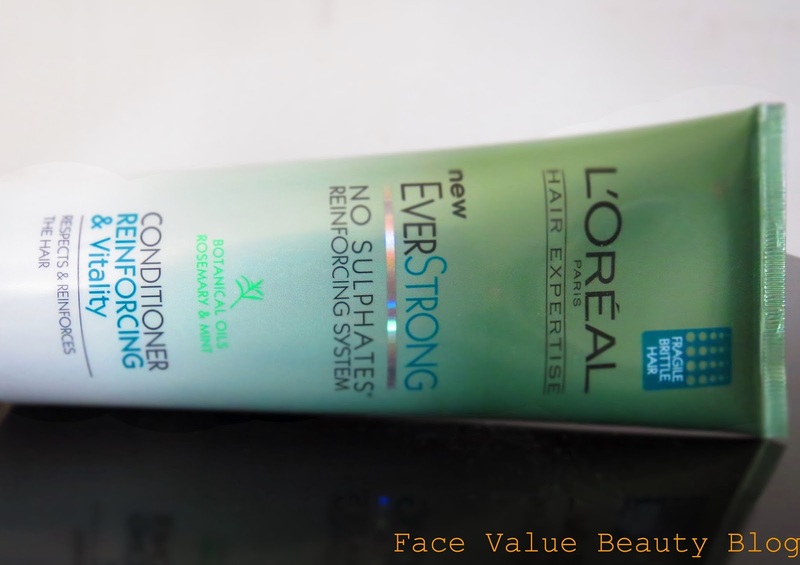 The L’Oreal Hair Expertise EverStrong conditioner is one of the first conditioners where I’ve noticed a visible difference after the first wash. You know? 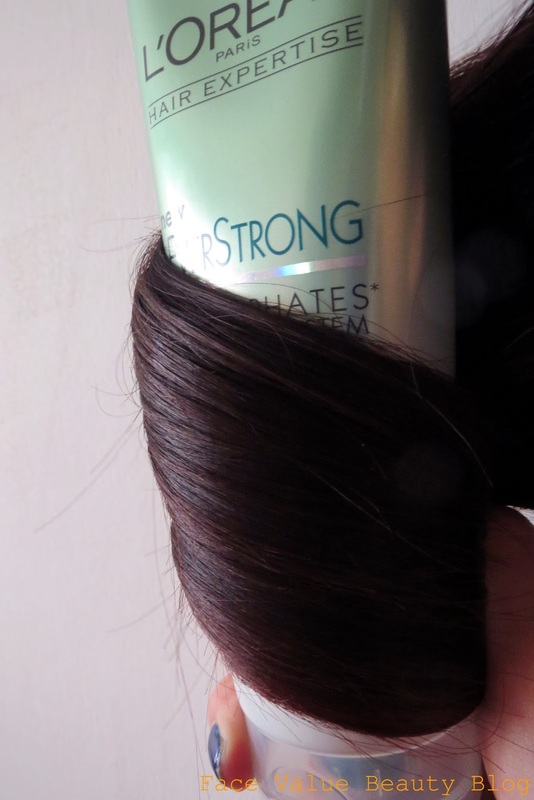 Like that moment when you’re running your fingers through your hair and you’re like ooooh..
Well after using this EverStrong conditioner, my hair was noticeably stronger at the tips, noticeably thicker and noticeably less brittle. Err, AWESOME? So much so that I think photo evidence is the only way to go! Here’s the ends of my hair “creatively” wrapped around the bottle haha. They used to be full of split ends but you can see there’s a lot more consistency, shine and well – they just look stronger. Bottom line is – I’m so chuffed with this conditioner, it’s 5.99 but there’s almost always some sort of offer on. It is seriously under-rated and comparable with Redken, Kerastase and other more expensive salon brands. I’ll will definitely keep buying it again and again and again…. until I find a new love that is..
Are you a fickle shampoo swapper? Or do you stick to your tried and trusted? What’s the best conditioner you’ve used? Ariana Grande Goes Greek: My Toga Party Ponytail! Previous Post Extra Winter Protection with Antipodes Hosanna Skin-Pumping Serum!